"My job is so rewarding: I work with animals, and I work with a medical system that emphasizes healing of the animal." Growing up on a farm, Dr. Audrey Shannon, DVM felt a strong connection with animals from an early age. After a brief flirtation with the humanities, she decided to combine her strong interest in science with her passion for animals. She entered the field of veterinary medicine, graduating from Washington State University's school of veterinary medicine in 2000. Having studied acupuncture concurrently with her veterinary course work, Dr. Shannon co-taught a class on acupuncture with a faculty member in her junior year. In her senior year, she conducted research on the effects of acupuncture on the immune and neurological systems of alpacas (acupuncture was shown to improve the condition of the animals in the study). After graduating from veterinary school, Dr. Shannon continued to study acupuncture and herbal medicine in online courses, at the International Institute of Chinese Medicine in Santa Fe (a human acupuncture school), and at the Chi Institute of Chinese Medicine in Reddick, Fla. The latter institute is the nation's leading veterinary continuing-education provider of Traditional Chinese Veterinary Medicine (TCVM), training licensed veterinarians to become cutting-edge animal health care providers in the areas of veterinary acupuncture, Chinese herbal medicine and other traditional skills. Dr. Shannon worked in regular medical veterinary clinics and in her own practice before establishing her current mobile holistic veterinary practice in Santa Fe, N. M.
Her experience in a veterinary emergency clinic convinced Dr. Shannon that a broader approach would be beneficial to her patients. Working from a mobile clinic allows Dr. Shannon to treat your animal in its home environment, so that the animal is not traumatized by being placed in an alien environment. "Traditional Chinese Veterinary Medicine is about healing, rather than crisis management," she says. "It's about healing from the inside out, on all levels. The benefits of acupuncture, herbal medicine and food therapy include an improvement in the presenting condition, along with increased energy and vitality. Many people observe their pets as being more energetic and happier with this treatment. It is deeply gratifying to be able to contribute to the comfort, well-being and healing of an animal." "My 12 year old Labrador retriever, Andy, has chronic arthritis. Acupuncture was recommended for his condition by my regular veterinarian. 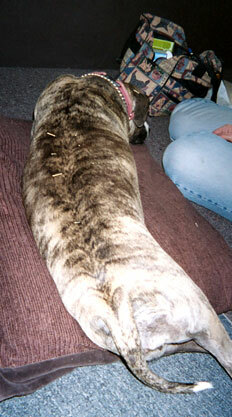 I am so thankful that Dr. Audrey Shannon was recommended to us as an acupuncture veterinarian. From acupuncture to dietary recommendations, Andy's improvement has been quite significant. He knows all of this is helping him because when he sees Audrey he goes to his bed and waits for his treatment. To say thank you to Audrey is not enough." "My dog Kayla loves Audrey. She settles right in when she receives her treatment. Audrey easily connects with Kayla, gently communicating with her and taking notice of things that might relate to her health and well-being. Clearly knowledgeable about animal health and Eastern medicine (herbs and acupuncture), Audrey also shares her extensive knowledge and understanding of the relationship between diet and health. She's encouraged us to change Kayla's packaged food and also supplement her dog food with broth, veggies and chicken meat. Doing so has not only resulted in positive changes in Kayla's energy levels, but also awakened my family to the vitality present in real (unprocessed) food. Audrey, overall, has deepened our appreciation of Kayla and her needs." 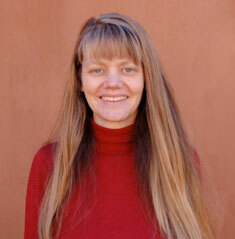 "I treasure the qualities of gentleness and compassion that Dr. Audrey Shannon brings to our sessions. She treats each of my three dogs as a distinct individual, helping me to understand their patterns of behavior, their health issues and their needs. Audrey has accompanied me on the end-of-life journey of Yoshi, my Chow-Samoyed mix, providing him relief from pain through acupuncture, and imparting wisdom to me through her kind and insightful words. And somehow she has managed to convince this rabid vegetarian that there is a way to incorporate fresh meat into our household's canine diets! Kizmet, Maud and Yoshi join me in thanking Audrey for being part of our family."